Digital transformation is having a profound effect on entire businesses. Consider for a moment how modern workforces have changed. Gone are the days when employees were bound to a desk. Today, digital tools and technologies have made it possible for staff to work from anywhere. But what if a problem arises? When your employees are in the office and they’re having connectivity issues, they can consult the IT team for help. When employees are working remotely and their hardware or software isn’t working as it should, they can’t connect with their peers or customers and, ultimately, they can’t complete tasks. The reality is, unproductive workers cost an enterprise money. 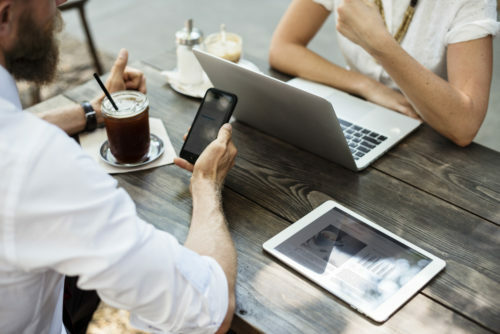 As such, it is essential that business leaders and IT teams work together to come up with a strategy that best enables their remote workforce to operate efficiently; this entails figuring out what tools and solutions they need to make remote work, work. A recent report from Deloitte documents exactly how digital technologies are changing the working world. The report outlines a few ways modern organisations can guarantee mobile workforce success. These strategies are unpacked below. Embrace innovation: Often, businesses are wary of giving their employees too much flexibility or are cautious about bringing new solutions into the organisation. While these fears are understandable, this hesitation can hamper your mobile employees’ ability to embrace mobile styles of working. According to Deloitte: “great talent thrives on impact and innovation—the same things a company needs to survive in the future. If a company prioritises its processes over smart and impactful contributions, it is setting itself up to lose creative up-and-comers, not to mention potentially fall behind the competition”. Build a productive mobile culture: Adequately leveraging solutions on the market and making simple shifts in how you manage your mobile teams can have a significant impact on their productivity. When developing a mobile workforce culture, do some research around how other organisations have successfully managed telecommuting, remote and distributed teams. With these success stories in mind, work with your mobile team to set realistic goals and track progress. Engage with your employees as if they are customers: Let’s face it, if your employees aren’t happy or they don’t have the tools required to work from any location, their performance levels will drop. If you want to create an effective mobile experience for your employees, ask them for feedback. Take the time to talk to them about what they need, what is working and what is holding them back. With this information, you can alter your mobile strategy to make the most of mobile. Business leaders need to create and support a culture and vision that everyone, whether they are in the office or working remotely, adheres to. When used effectively, digital tools are a true business enabler. Every month, we send out a newsletter with a wealth of business and telecoms insights. To subscribe, complete the form below.